As I have patiently waited out a period of illness, I have still been busy! I have piles of layed-out felt ready for the time when I have enough breath to roll them, but in the meantime I am sitting quietly and working with my hands. 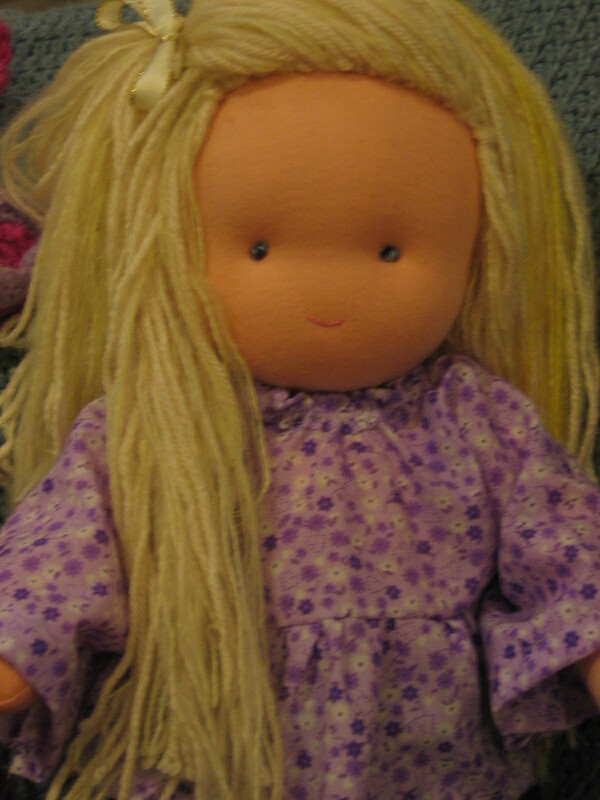 And here is a little person who emerged in this space of quietness and stillness: meet Sally. I wish Sally could stay and play with us at Lavendilly House, but she is off for grand adventures at Finger Prints Children’s Centre as I am donating her to the kindy for a raffle to find a new home with a loving family, or for a classroom doll … or for wherever Sally feels she will be of most use. 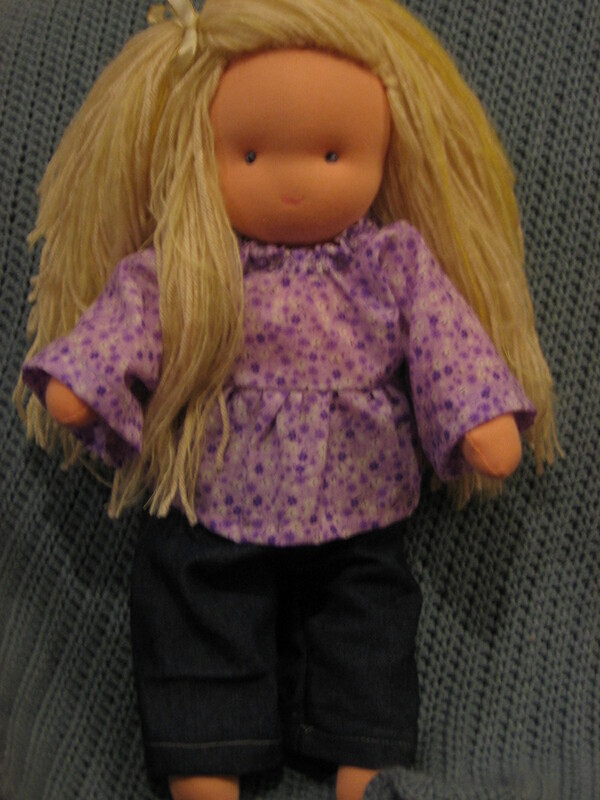 I had fun making her clothes, although you can tell I was so eager to take her picture that I haven’t ironed them yet. She even has a pair of undies on under her jeans, and I wish I had a cute top like that one. She needs some shoes, and a little knapsack to keep some treasures in. Perhaps that will be tomorrow’s task. 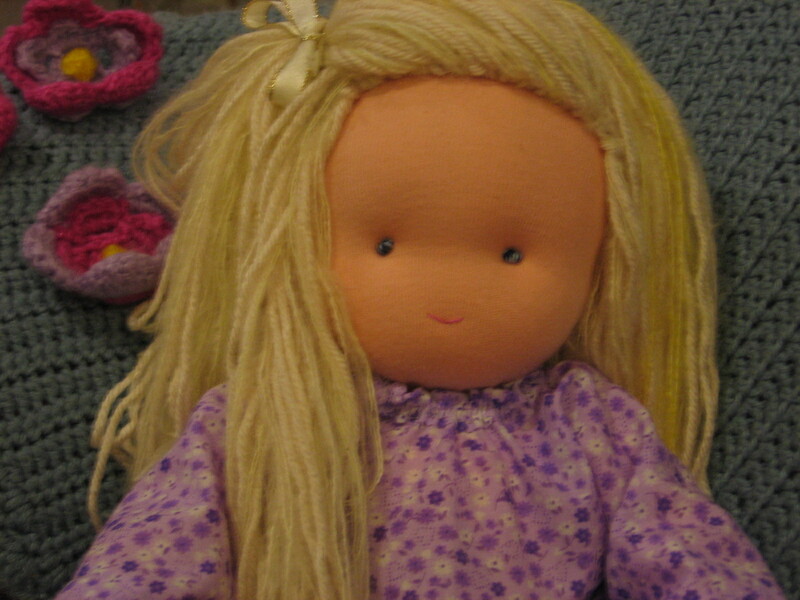 I am still trying to work out how to make these dolls without such a great volume of hair. Sally’s has some lovely mohair mixed through it which was very thin and soft. Thank you for keeping me company Sally!